How Far is Concrete OU Colony? Concrete OU Colony is a residential project developed by Concrete Constructions. 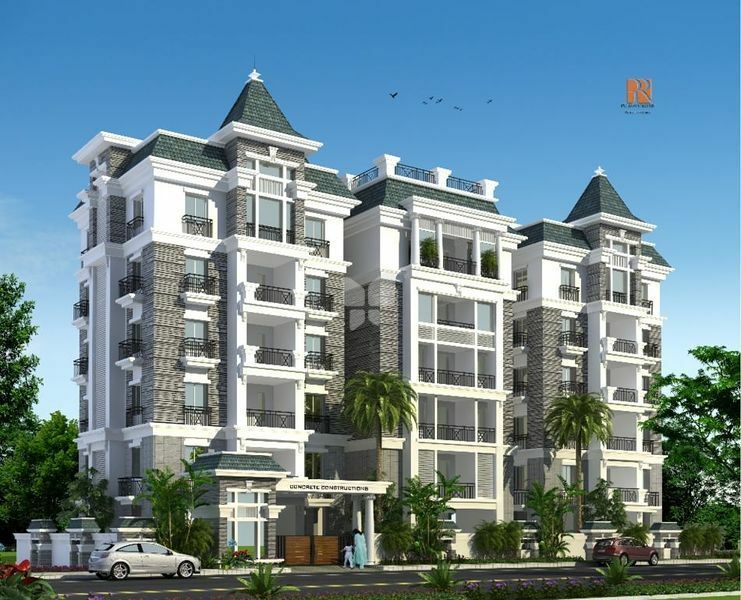 The project offers very well designed 2BHK, 3BHK and 4BHK residential apartments. The project is well connected by various modes of transportation. The site is in close proximity to various civic utilities. Concrete Constructions is a reputed real estate company in Hyderabad. The group has over hundreds of satis?ed residents, and have completed more than 30 projects since its presence in the industry. The group has successfully covered over 15,00,000 sq. ft of constructed area, and over hundreds of satis?ed Residents in just 15 years. Also 8,25,000 sq.ft. of area is under various stages of construction & 12,00,000 sq.ft. under pipeline. The group nurtures a vision to create wonderful buildings for people to live in and appreciate. It has its diversity in the fields of residential and commercial buildings in and around Hyderabad. Their projects and happy customers are a testimony to the fact that there is a construction ?rm with a heart of gold, an architect with a vision and a determination to excel. You can see their projects across the city, it comprises of Concrete OU Colony which is located in Shaikpet and offers you ready to occupy 2BHK & 3BHK apartments for sale in Hyderabad as well as Concrete Orchids which is strategically located in Kondapur, and offers you thoughtfully crafted 3BHK apartments and also Concrete Destina in Serilingampally which offers you ready to occupy 2BHK & 3BHK apartments for sale in Hyderabad. The group strives in providing a happy home to the happy families, give them a residential and commercial space, which is like no other. They believe that their satis?ed customers are their biggest references.